I have had Pebbles my girl rabbit for almost three months now and she was in with two males. About 2 weeks ago we noticed fur on the floor of their house and a male rabbit was trying to mount her but every time he tried she would growl and move away from him. So she is in her cage now and she has started to pull her fur out and carry straw around in her mouth. So when will she give birth to the babies if she is pregnant? The initial fur on the floor is more likely the result of fighting between the bucks, or a cranky doe attacking either of the bucks. Time to separate the bucks, too. 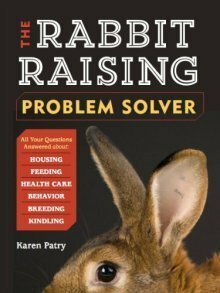 Comments for My female rabbit pregnant? Me, I'd put the nestbox in asap, due to the uncertainty of when the doe was bred. Better early, than finding cold dead kits on the ground or on the cage wire. The males and the female rabbit have been together just under 2 months and then it was about 2-3 weeks ago i noticed the female wasn't allowing the male one to hump her. so we got a breeder round and she said she looked and felt pregnant so since then we have sepsrated them. But i don't know how far gone she is and when she will give birth to her young if she is pregnant.